We believe that God is love and is to be worshiped by all people. We believe that God has demonstrated love for us in Jesus Christ. We believe that all people can receive forgiveness of sin through faith in Jesus Christ. We believe the Bible is the inspired Word of God. It contains God’s wisdom and truth which gives answers for a troubled world and shows God’s way of salvation. We believe the church is God’s people who come together for worship, fellowship, study, witness, and service. Many people wonder how the denomination chose the name “Reformed Church.” This dates back to the time of the Reformation in Europe. In the 1500’s church leaders in Holland, as well as some other European countries wanted to be “re-formed according to the Word of God.” The name remained, and our goal continues to be: constantly reforming our lives according to God’s Word. We are a congregation belonging to the Reformed Church in America, one of the oldest organized denominations in the United States. Our denomination supports mission work throughout the world, is active in planting new churches, and producing teaching materials for adults and children. The purpose of the American Reformed Church of Luverne is to glorify God by: worshiping together, bringing people into a personal, saving relationship with Jesus Christ, nurturing people in loving fellowship and equipping people with the Word for service. We build a redemptive kingdom by intentionally seeking out and developing reproducing apprentices of Jesus who are extravagant lovers of God and equipped ambassadors and fishers of men. 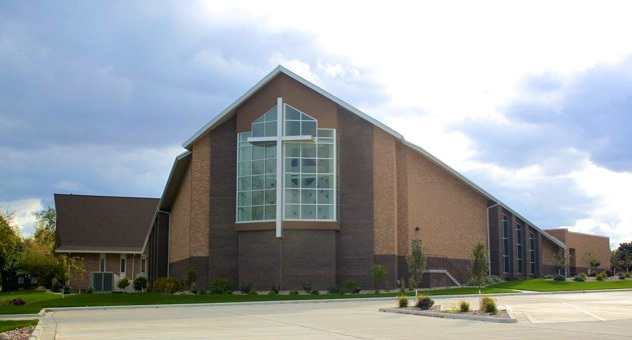 The American Reformed Church of Luverne was organized by 30 families within the community. The first church service gathered in August 1955. The original church building was built in 1962, with an education unit added to the existing sanctuary in 1971, and with the most recent addition of the new worship center in 2011.